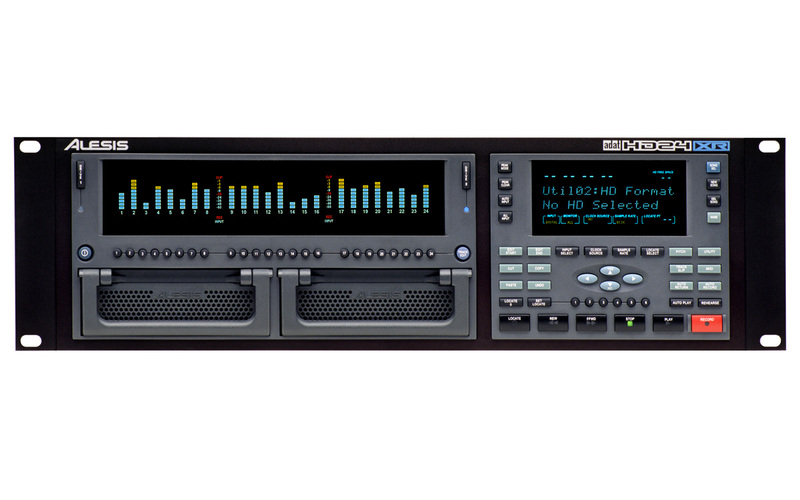 HD24XR is the world's first 96kHz, 24-track hard disk recorder designed to fit into any ADAT environment and match ADAT's legendary performance and affordability. HD24XR is built exclusively for the purpose of recording music instead of data, resulting in remarkable stability and performance. HD24XR enables engineers to record up to 24 tracks of high-resolution 24-bit recording at 44.1, 48 kHz, and 12 tracks at 88.2, and 96 kHz sample rates. HD24XR features the same A/D and D/A converters used in the acclaimed MasterLink. HD24XR features ADAT Optical and ADAT Sync, enabling it to work efficiently with existing systems. It offers the same exceptional user-friendly interface ADAT users have come to expect. HR24XR packs 24 channels of digital audio I/O into a single-unit recorder that easily fits into any environment. Analog: 24 24-bit inputs, 24 24-bit outputs (1/4" TRS, +4dBu). 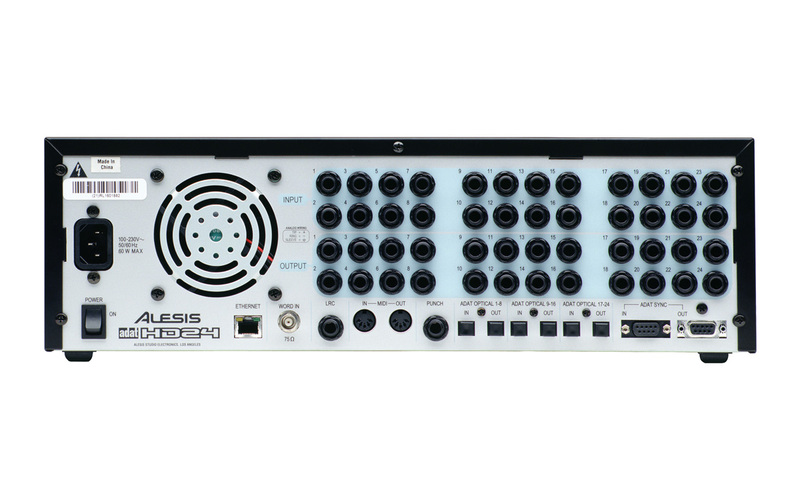 Digital: 24-channel I/O via 3 ADAT Optical inputs and 3 ADAT Optical outputs. Other: MIDI in/out. Alesis Sync in/out (DB-9). Word Clock input (BNC, 75). Footswitch jack for punch in/out (1/4"). LRC input for traditional wired remote (1/4"). 10 Base-T Ethernet (RJ-45).